Have you driven a 2017 Chevrolet Trax? 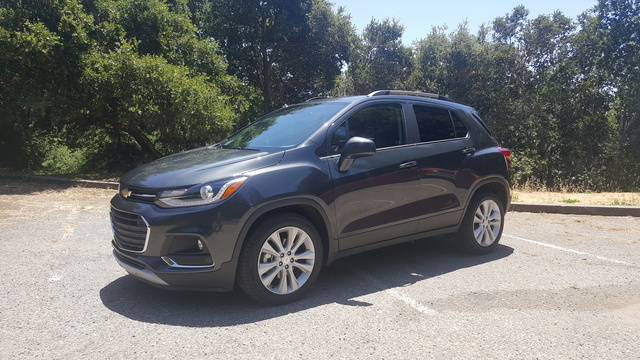 Displaying all 2 2017 Chevrolet Trax reviews. 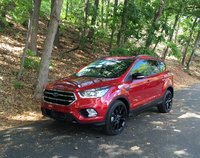 CarGurus has 30,568 nationwide Trax listings starting at $6,995. Great little SUV for the price. Very decent acceleration and handling in a nice looking vehicle with a sharp interior and a plentiful set of amenities like backup camera, AC, power windows/locks, remote keyless, push button start and Bluetooth radio in the base model. Handling Ranked 2017 Jeep Renegade Sport better. "Very close contest, but Renegade feels wider, a bit more stable, and has less body roll (at least in fwd configuration, havent driven the taller 4x4 Renegade)." Looks/Style Ranked 2017 Jeep Renegade Sport better. "Prefer the boxy style over the smooth, aero style of the Trax. Just personal preference. The Trax looks good too." Front Seats Ranked 2017 Jeep Renegade Sport better. "Slightly firmer, which I prefer for longer drives." Cargo Capacity Ranked 2017 Jeep Renegade Sport better. "Mainly taller, so a bit more room if you dont mind stacking items." Family Car Ranked 2017 Jeep Renegade Sport better. "Kids think its cool, available factory tow hitch, more cargo room, roof rails." Value Ranked 2017 Jeep Renegade Sport worse. 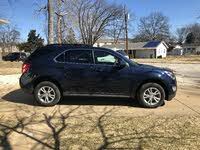 "Trax delivers almost all the goods the Jeep does, but you can get a base trax in my area for about $2K less than a base Renegade with AC package." Would Buy Ranked 2017 Jeep Renegade Sport better. "The Renegade has a ton of fun factor built into it. I would have paid $5K more for it, but very glad I didnt have to."